It's a humid day, but nevertheless a beautiful one. It's the kind of day that having a fan won't suffice, it's definitely the kind of day wasted in front of a computer. The wind is vivid and the semi-parched leaves of the trees outside my window are swaying vigorously. My best friend is my refrigerator because I have stored a huge mug of fruit punch inside, …Ok, yes it has rum in it, but it's the middle of the week, and I have made it this far so I deserve that reward. That should hold me while I count the days to the weekend, then I can have some more. I am doing some research, about countries in Europe that we should visit and I came upon Lithuania. Honesty, I have heard the name before, but I didn't really know anything about the place before I searched online. The more I read, the more I thought to myself that this is a wonderful place, and we should put it on our “places we want to visit” list. Now, I am not going to give you a history lesson about Lithuania, you can find that on Wikipedia or one of those sites. However, what I am going to tell you is some of the reasons why Nikki and I; two Caribbean travelers, want to visit this northern European gem. Download the app with this story here so you can find these locations easily. I have been to several European cities including Paris, Zurich, Amsterdam and Brussels. Each with its own allure, Paris for its romance, Zurich for its mystique, Amsterdam for its jubilance and Brussels for its quiet charm. I love the feel of European cities, especially those on our “to visit list” like Croatia, Montenegro, Latvia and Slovakia and lately Lithuania. I love the medieval Old Town, the cobblestone roads and its amazing renaissance architecture. It is normally said that the best cities to visit are those with no specific attractions. However, with numerous beautiful old buildings all over the Old Town it is a site every visitor relishes. 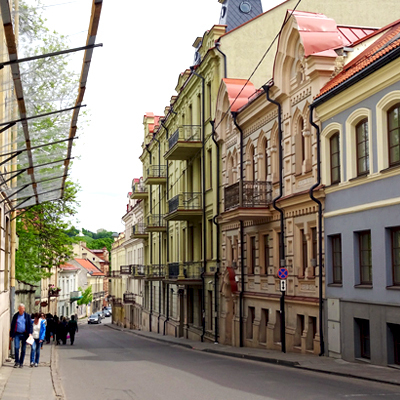 The Old Town in Lithuania's capital, Vilnius, is a UNESCO World Heritage Site. It has many buildings that date back to the 13th century and encompasses 74 quarters and 70 streets with over 1400 buildings inluding inluding hotels to stay in Vilnius. The town is said to be one of the largest surviving medieval old towns in northern Europe. Vilnius has some of the most beautiful churches and cathedrals in Lithuania. Some of these include the Vilnius Cathedral, which dates back to the early 13th century. The Saint Ann church, established in the 1500s, the Church of Saints Johns 1426 – 1610, Saint Casimir Jesuit church which was completed in 1616, the Holy Spirit church which dates back to 1776 and the Our Lady of the Sign Orthodox Church, which was only built in 1903. The Old Town in Vilnius has some 28 churches, all worth a visit. I know what you're probably going to say, “Why would I visit churches?” If you love architecture like I do, then you would love the Byzantine, Romanesque, Baroque and Neoclassical styles used in the constructions of some of these churches. However, it must be noted that there are few examples of the Romanesque style existing today in Vilnius. BTW I am not an architect; I just love beautiful buildings and find out as much as I can about them, OK! The magnificent Gediminas Tower is a time-honored symbol of the capital and one of Vilnius' most conspicuous landmarks. We look forward to climbing this tower, which gives a breathtaking view of the city and despite the climb to the top, we think it will definitely be worth the effort. Alternatively, you can take the elevator to the top. There's a small museum showcasing the local history of Lithuania at the top of the tower. The museum also has an observation deck that offers an exquisite view of the capital in exchange for a few Litas. Standing at 326.5 meters, the Television Tower is among the tallest structures in Lithuania. Monuments as well as crosses adjacent to the entrance act as reminders of Lithuania's major battles for independence. The Television Tower is not closed to visitors. An elevator takes visitors to a circular observation room 165 meters high. The observation room revolves slowly and takes about an hour to finish one round. Visiting the Television Tower will give you a chance to appreciate an exhilarating view of the city as well as a panorama of the vicinity within a radius of up to 50 kilometers. The Bastion forms part of the barbican – Vilnius Defensive Wall. It is a Renaissance-style wall pigeonholed by its original structure. The Bastion is composed of a tower, underground gun ports as well as a connecting passage, which is a tunnel 48 meters in length. It was constructed in the early 17th century by Friedrich Getkant, a German military engineer. The Bastion acted as a German military weapons storehouse during the first and second World Wars. You can take delight in the picturesque observation of the Old Town while at the terrace. The monument of the three crosses at Kalnu Park was initially erected in the 1600s in commemoration of several monks from a neighboring monastery martyred in the 1300s. Legend has it that seven monks were killed while seven others were tied to crosses made of wood and left to drift on the waters of the Neris River with instructions to go back to the west where they had come from. The three crosses have changed a lot over time. The current monument was built in 1989 to replace the one which was destroyed in the mid 20th century. Several concerts as well as festivals are staged at this Park during the summer. The Park of Europe aka Europos Parkas displays Lithuanian and international modern art. It is located about 30 minutes from Vilnius and has over 100 pieces of work from artist around the world. 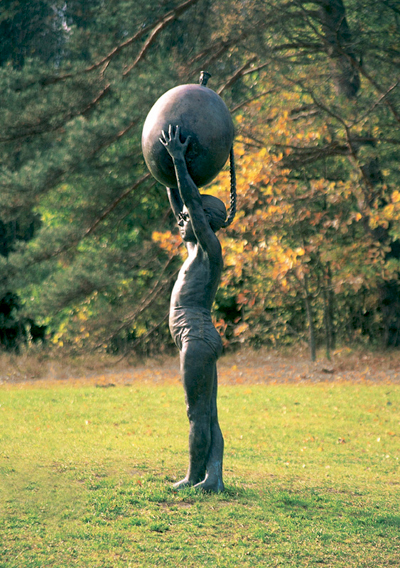 It is a combination of art and nature as many the sculptures are permanently exhibited amidst the hills, woodlands, grasslands and natural springs. Also located in the park is a conference hall, a restaurant with outdoor seating, a post office and a gift shop. BTW the park also boast of having the largest piece of artwork made with television sets. The Gallery is located in Chodkiewicz, a magnificent and spacious estate renowned for its striking interiors evocative of the late Classism. There's a permanent exposition in the Gallery that offers visitors a chance to get thoroughly and dependably conversant with the growth and development of Lithuanian artistic creations from 16th century to early 20th century. It preserves collection of artistic works by Vilnius Art School artists. The Gallery also organizes various exhibitions, culture nights and classical music concerts. Uzupis is largely comparable to Monmarte in Paris and Copenhagen's Christiania. Uzupis is a “country within a country” with its own president, constitution, anthem and bishop. One of Vilnius oldest burial grounds, the Bernardine Cemetery, is also located here. The constitution which governs the Republic of Uzupis is available for everybody to see on a fence. Uzupis is one of the ancient Vilnius districts and is cited in historic pamphlets dating as far back as the 16th century. There were vanes of many mills turning in Uzupis in earlier times. It was the city's poorest suburb and was predominantly populated by craftsmen. With time, artists settled here to take advantage of the cheap accommodation. Additionally, the Art Academy was located just nearby. Different concerts, fashion festivals, poetry evenings, exhibitions, as well as festivities are now held in Uzupis. 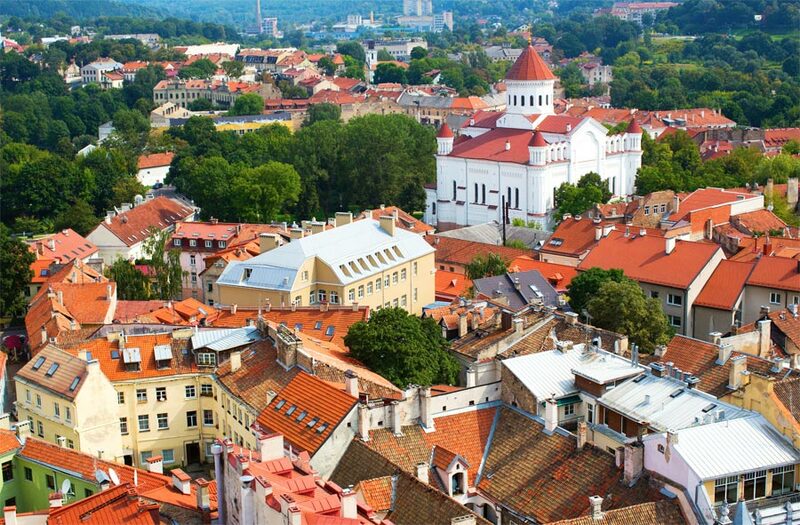 Presently, the Uzupis “republic” is among Vilnius' most esteemed and luxurious districts. The name Uzupis can be loosely translated as “the place beyond river”. Vilnia River occupies an important part of Uzupis. As such, the bronze Uzupis Mermaid is an integral symbol of the Uzupis. The mermaid is specially erected on the banks of Vilnia River. It is believed that the mermaid attracts people from across the world to Uzupis, and that if you surrender to her charms you forever remain in Uzupis. The Gates of Dawn is among the most popular shrines in the city and is famous all over the world and not just in Lithuania. If you are visiting Lithuania from neighboring states, visiting the Gates of Dawn is probably your number one motivation. The shrine is worshiped by representatives of various creeds and is the only remaining gate of the initial original five gates of Vilnius built in early 16th century. The miraculous Blessed Virgin Mary's painting at the Gates of Dawn is well known the world over. Numerous churches in many nations have replicas of this Mother of Mercy painting. The painting is known as Vilnius Madonna and was made in the 17th century. It has since been said to have miraculous powers. The St. Stanislav and St. Vladislav Cathedral is the most crucial worship place for Lithuania's Catholics, alongside being the main venue for many Christian, folk as well as national celebrations. The cathedral was awarded the title basilica in 1922, which is the greatest Catholic Church category given by the Pope only to highly esteemed churches. Most prominent citizens of the Lithuanian Grand Duchy including dukes, bishops and noblemen are buried in the cathedral's vaults. Additionally, the ancient temple wall built between the 13th and 15th centuries, as well as the oldest Lithuanian fresco that was painted in the 1300s have lived on in the cathedral's vaults. One of the things we love doing when we travel is relaxing in a park or garden and admiring the beauty of nature displayed in its flowers, tree and many species of plants. We wrote about this in a post about the parks and garden in Paris. One of the gardens we would certainly like to visit in Lithunia is the Botanical Garden of Vilnius University. There are over eight thousand plants found in the garden including dahlias, lilacs and peonies. It has a total area is 490 acres and is the largest garden in Lithuania. 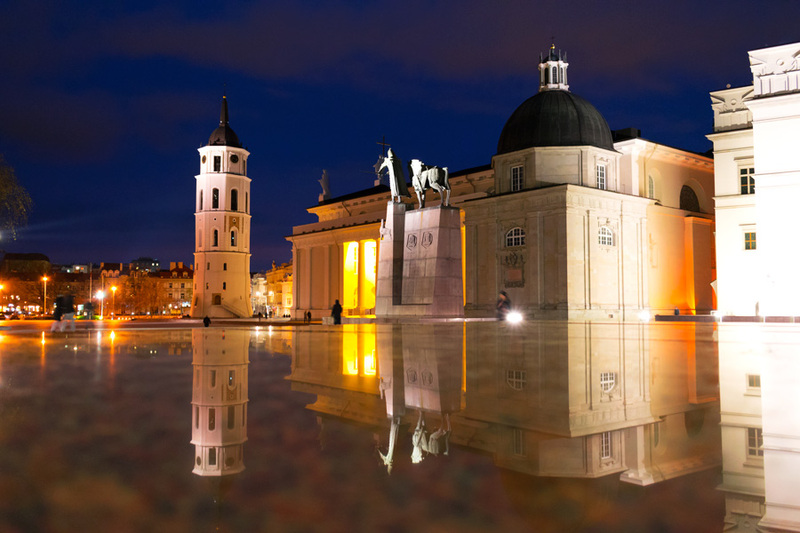 Many events including concerts and exhibition are held at the Botanical Garden of Vilnius University and you can even go horseback riding and take a carriage ride as well. The Museum of Genocide Victims is located in the old KGB headquarters, where soviet offenses were planned and executed in a fifty-years-period. The key part of the museum is the previous KGB inner prison, which is preserved just as the soviet security forces left it when they departed in 1991. On display on the first floor of the museum, visitors are given an account of the loss of independence in the mid 20th century , soviet powers' repressions, as well as the self-sacrificing life-and-death fights to recover independence. There are several other majors cities in Lithunia including Kaunas, Klaipeda, Siauliai and Panevėžys. 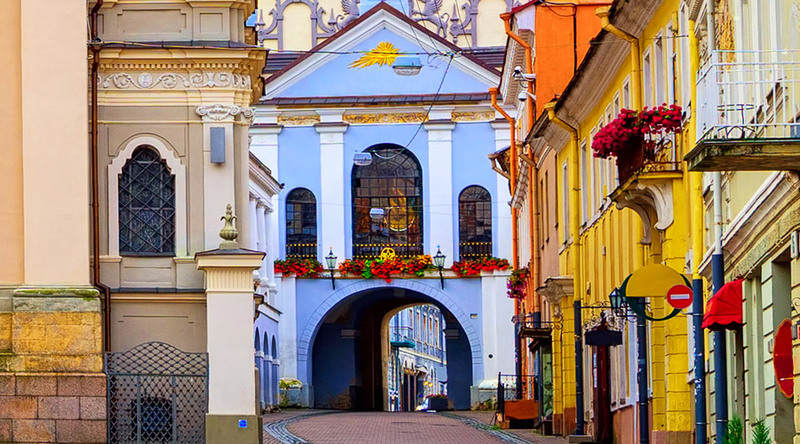 Kaunas, the second biggest Lithuanian city is a must visit as it is more upbeat with nightlife and some of the best Italian, Chinese, Mexican, Indian and many other international cuisine can be found there. Places of interest include the Lithuanian Zoo Park, Lithuania's Museum of Aviation, the Tadas Ivanauskas Zoological Museum, Napoleon's House and the Kaunas Castle. Klaipeda is home to the Port of Klaipėda, which is described as the most important transportation hub in the country simply because the water does not freeze during wintertime and activities are not hampered. 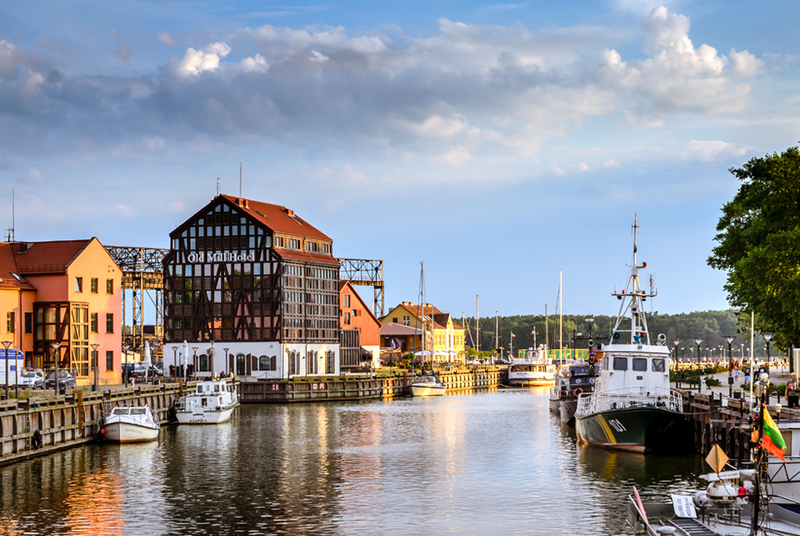 The third largest city in Lithuania, Klaipeda is also known for its German and Scandinavian architecture. Places of interest include the Lithuanian Sea Museum and Dolphinarium, the Curonian Spit National Park, the Klaipėda Castle, Smiltynė, Giruliai and Melnragė beaches as well as the Klaipeda Zoo and the Lithuania minor historical museum. Siauliai is the fourth largest city in Lithunia and despite its devastation on many occasions it has developed into a thriving commercial centre. It is considered one of the major cultural centres in Lithuania. Some places of interest include the Hill of Crosses, the Cathedral of Saint Peter and Saint Paul, the Splius Adventure Park, the Siauliai Ausros Museum and the Cat Museum, if you're into felines. Panevėžys is located in the middle of Lithuania and nestled between the two Baltic capitals of Riga and Vilnius. The fifth largest city in Lithuania it is recognized as a green city, but also considered an important industrial hub. Some places of interest are the Bistrampolis estate, Laisves Square, the Flax Museum, The Naudvaris estate, Panevėžys museum of regional studies (The Moigiai place) and the Museum of ancient Christmas Baubles. Which is really better? Hilton Curacao or Hilton Barbados?